Do you play games on your PC? Then you know that it can be fairly difficult when playing a first-person shooter or a role-playing game to use the mouse and keyboard for your controls. A controller, and especially a PS4 controller, is almost always better, providing you with more quick and precise controls over your character and weapons. Generally, the thought is, if you’re to use a controller, you need a console like the PlayStation 4 or Xbox One to play on; however, that isn’t the case. The nice thing about computers these days — at least, computers with recent versions of operating systems — is that they allow you to quick and easily hook up an Xbox One or PS4 controller on PC. Not sure how? Follow along with us below, and we’ll take you step-by-step through the process. Let’s dive right in. One of the easiest ways that you can connect up a PlayStation 4 controller to your PC is through Steam. Steam actually released an update to its gaming platform, allowing users to easily use their PlayStation 4 controller with games that are within the Steam platform. That means that, with this method, you can use your PlayStation 4 controller with Steam, but not outside of Steam. If you want to control PC games in Steam’s TV-friendly Big Picture mode, they make it easy — just launch Big Picture Mode on your TV (or laptop / computer), plug in your DualShock controller, and you’ll instantly see options for using Steam with the DualShock button. Additionally, you can use your DualShock PlayStation 4 controller in traditional Steam as well. Open up the Steam platform, and then check for any updates. Once Steam has been upgraded to the latest version, you can plug in your DualShock PlayStation 4 controller into the PC or laptop by way of USB. Or, you can connect it over Bluetooth. Once connected, you can load up a game, and play using your controller. Unfortunately, this isn’t the best way for everyone to get a PlayStation 4 controller working on Windows. Using your DualShock PlayStation 4 controller on the PC with regular PC games isn’t nearly as easy. However, it isn’t impossible either! To get started, you’ll first need to download the DS4 Windows compatibility program. DS4 Windows is really nice because it makes connecting your DualShock PlayStation 4 controller to the PC as easy as can be. It’s extremely easy to connect up an Xbox 360 or Xbox One controller to Windows. 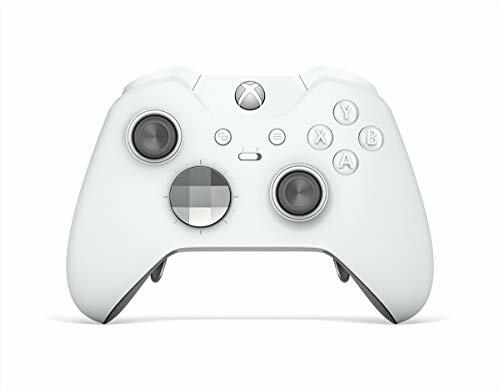 Since the Xbox and Windows is both made by Microsoft, Microsoft has made it incredibly easy to connect up its controllers to the PC. That said, the awesome thing that DS4 Windows does is trick your PC into thinking that your PlayStation 4 controller is an Xbox 360 controller. Head over to GitHub, and grab it as a free download. Once you have it downloaded, locate the ZIP file on your computer, and then press “Extract All”. A new window will appear, asking you where you want to extract the files to. Choose the destination folder, and then accept. Next, open up the destination folder. You should see two files — DS4Update.exe and DS4Windows.exe. The former will keep the program updated with the latest drivers. So, if you ever run into issues with your controller, you should first launch that .exe file to make sure DS4 Windows is up to date. However, we want to setup DS4Windows on our computer right now, so we’ll double click DS4Windows.exe. After launching for the first time, DS4 Windows will ask you where you want your settings to be saved. You can choose a custom location, but the default ”Appdata’ should work just fine. On the next window that appears, press the button that says Install the DS4 Driver. This ensures that you can use DS4 Windows with Windows 8, Windows 8.1, and Windows 10. This program does work on Windows 7, but instead of clicking Install the DS4 Driver, you’ll want to click on Install 360 Driver. Now that DS4 Windows is setup, using your PlayStation 4 controller is easy. Grab a micro-USB cable and your PlayStation 4 controller. 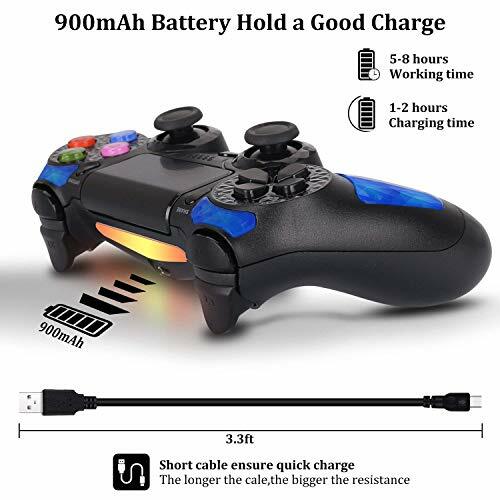 Plug the micro-USB end into the PlayStation 4 controller, and then the USB-A end into your PC. And that’s it — you can start using your PlayStation 4 controller on the PC! Or, you can connect up your PlayStation 4 controller via Bluetooth. Hold the PlayStation 4 controller’s PS Home button and Share button down for three seconds, until the controller’s light bar begins to flash blue. Then, head into your Window’s Settings Bluetooth section, and connect up to the controller. Now you’re ready to use it! If you don’t have a controller to use for PC gaming, Sony’s PlayStation 4 DualShock controller really is a great choice. As you can see above, it’s extremely easy to connect it up to your PC or laptop, and it works with most games on the market. Not only that, but a rechargeable battery means you don’t have to always swap out battery. The buttons and thumbsticks offer you better precision, too. The Xbox One Elite Controller is another excellent choice. Designed for the serious gamer, the Xbox One Elite controller gives you extreme precision, equipping you with the advantage in even the most competitive games. It actually comes with a bunch of different buttons and joysticks, allowing you to swap them out for ones that are more comfortable. If you want the advantage in your favorite game, this controller is for you. And on top of that, since it’s from Microsoft, hooking it up to your computer is as simply as plugging it in. As you can see, hooking up a PlayStation 4 controller to your PC is extremely easy. It’s easier if you just want to use Steam games, but with DS4 Windows, you can set it up for other games, too. And, of course, if you don’t already have a gaming controller, both the DualShock PlayStation 4 controller and Xbox One Elite are great choices. What’s your favorite controller for gaming? Sound off in the comments section below.